Only two people have ever been awarded People magazine's title of Most Beautiful Person more than once — Michelle Pfeiffer and Julia Roberts. However, that changed on April 20, 2016 when Jennifer Aniston was named People 's World's Most Beautiful Woman for the second time. The announcement was made on TODAY, and it wasn't too surprising, as Aniston has been admired for her beauty since she starred in the sitcom Friends and became a household name in 1994. People also named Aniston Most Beautiful in 2004 — the same year Friends ended its 10-year run — and, 12 years after her hit show, Aniston is still as beautiful as ever. 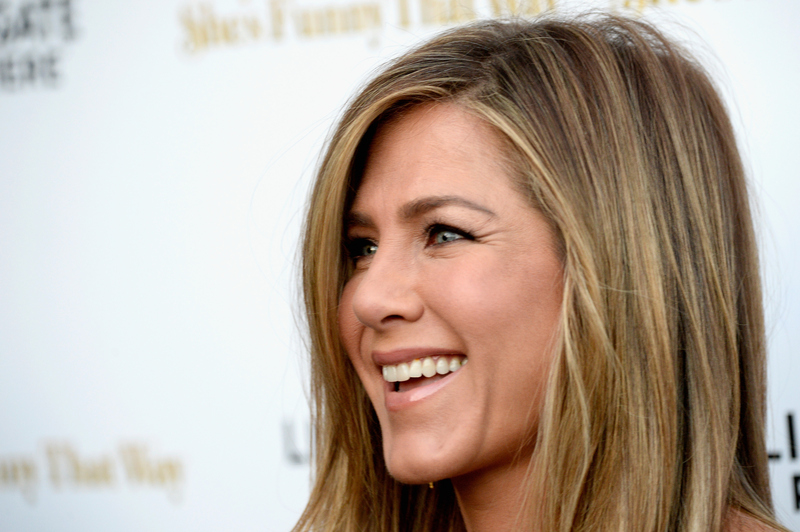 Although Aniston is known for her outer beauty, that's not what comes to her mind when asked to define beauty. As Aniston told People , beauty is about, "Inner confidence. Peace. Kindness. Honesty. A life well-lived." At the age of 47, Aniston is also now the second oldest winner of World's Most Beautiful Woman, following Sandra Bullock who was given the title in 2015 at the age of 50. Not only does Aniston's outer appearance show that beauty knows no age, but her glowing personality adds to what makes her beautiful. Now that she's older than she was when she first won the title, she may have a bit more wisdom, since she continued to define beauty to People as, "Taking on challenges and not feeling shame for things that haven't gone the way you felt they should have. And not feeling like a failure or allowing people to critique your life and make you feel like you've failed at something. That's just toxic noise." That's advice everyone should live by for a more beautiful life. Along with Aniston taking care of her exterior appearance, she is aware of what she puts inside her body. Aniston, who TODAY reported is a spokesperson for Aveeno, Living Proof, and smartwater, said her beauty secrets are her supplements. "I've got a healthy bag of vitamins I take three times a day, like Viviscal and your basic omegas and vitamin C. Good stuff," she said. Her personal happiness also adds to her beauty since she married husband Justin Theroux in August 2015. "He makes me laugh. He's so interesting and so interested," Aniston said to People. "He's unbelievably talented in more areas than one and he's just a good man." With personal joy like that (and a husband as gorgeous and talented as Theroux), it would be hard for Aniston not to radiate beauty. Just like with last year's recipient Bullock, People seems more focused on Aniston's inner peace and happiness than just her beautiful exterior features. Of course, Aniston looks good on a magazine cover, but she has more to offer to the title of Most Beautiful than her iconic hair and her piercing blue eyes. And that's a beauty trend that I think a lot of women and men can definitely get behind.